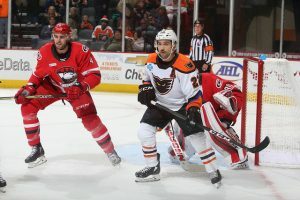 Lehigh Valley, PA – One night after an 8-2 blowout win of the Springfield Thunderbirds it appeared the Phantoms might be up to their same tricks again against the Charlotte Checkers following a three-goal outburst in the opening frame. 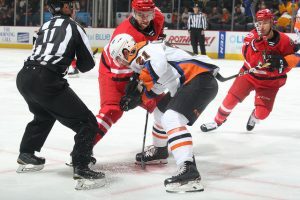 But the visiting Checkers tightened up on their side while rallying back at the Phantoms end to post a 7-4 victory on Saturday night in downtown Allentown. 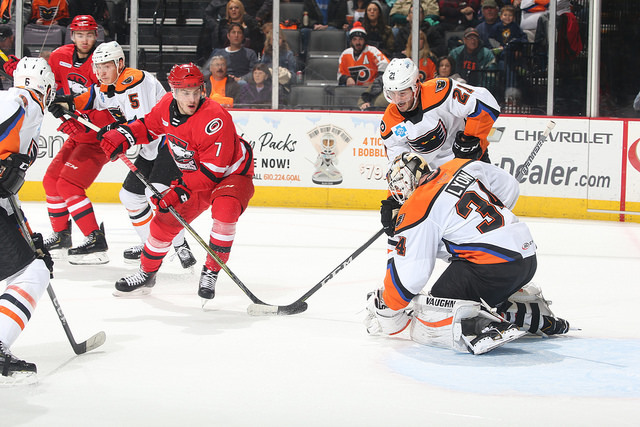 The opener of two consecutive games between the rivals featured the current Atlantic Division leaders in Charlotte (11-2-0) against the defending division champs in Lehigh Valley (7-4-2) in a rematch of last year’s exciting playoff series which the Phantoms won 4 games to 1. Nicolas Roy paced the Charlotte attack with two goals and one assist during the second and third period rally. The Phantoms received goals from Greg Carey (7th), Zach Palmquist (1st), Chris Conner (6th) and David Kase (4th). Lehigh Valley had its two-game win streak snapped as well as its three-game point streak. Charlotte had the early jump in the game with a 9-1 shots advantage but Alex Lyon was there with the answer on every Checkers bid. 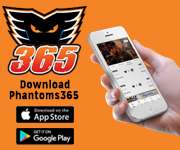 Midway through the first period it was Tyrell Goulbourne helping provide a Phantoms’ spark in the form of his first fight of the season when he tangled with Dan Renouf. The Checkers scored the first goal of the game shortly after that on a goal-mouth scramble that was nudged over to their captain Patrick Brown who knocked in his fourth of the season with 6:50 remaining in the first period. But then the Phantoms responded with three goals of their own to take the lead into the first break. Greg Carey’s third of the weekend and team-leading eighth of the season came as a result of a tenacious forecheck from Cole Bardreau helping force a turnover. 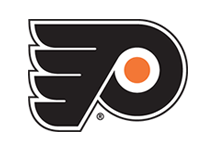 Bardreau did not touch the puck as the errant pass was deflected to Carey who slammed through his unassisted one-timer for the tying tally. Charlotte responded on the move with Aleksi Saarela burying his second of the season with 4:45 to go in the opening frame. But then it was Palmquist and Conner scoring back-to-back allowing the Phantoms to force their way ahead with a 3-2 lead. 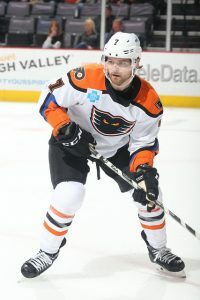 Palmquist cut off a clearing try at the left point and carried to the high-slot where he blasted a drive that dinged off both posts and in for his first goal in a Phantoms jersey. 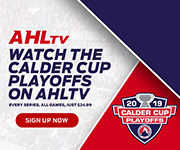 Just 36 seconds later it was Conner deflecting a David Kase power-play shot from the right boards that eluded Checkers netminder Alex Nedeljkovic. But the Checkers bounced back in the second period beginning with Trevor Carrick’s goal on a center-point rocket at 7:25 into the period. That was quickly followed up by Nick Schilkey’s rebound tap-in less than two minutes later that followed a Saarela intercept of a long pass leading to Roy’s shot off the body of Lyon. At the end of the period, the Phantoms shot a puck that squeezed through the pads of Nedeljkovic but the defense quickly swept away any rebound opportunity while sending the Checkers flying back the other way with numbers. Roy converted on the rush from Saarela for a 5-3 lead with 1:56 remaining in the second period. The talented and speedy Phantoms rookie winger, Kase, quickly responded with his rush up the right-wing boards that was followed by a cut across the middle to the left circle and then a picture-perfect snipe to the upper-right corner with Kase placing it to the far-post side. His fourth of the season pulled the Phantoms to within a goal at 5-4 at the second intermission. But Charlotte jumped on another interception early in the third period for Roy’s second goal of the game and seventh of the season. 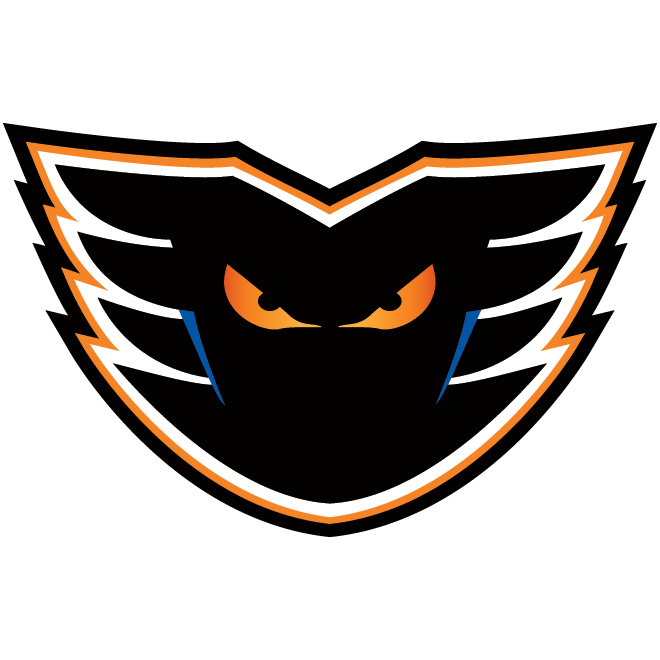 Rookie teenager Saku Maenalanen sealed the victory with an empty-netter with 1:23 to go to provide for the 7-4 in the first of eight meetings this season between the Phantoms and Checkers. Lehigh Valley went 1-for-4 on the power play while holding the Checkers to 0-for-4. 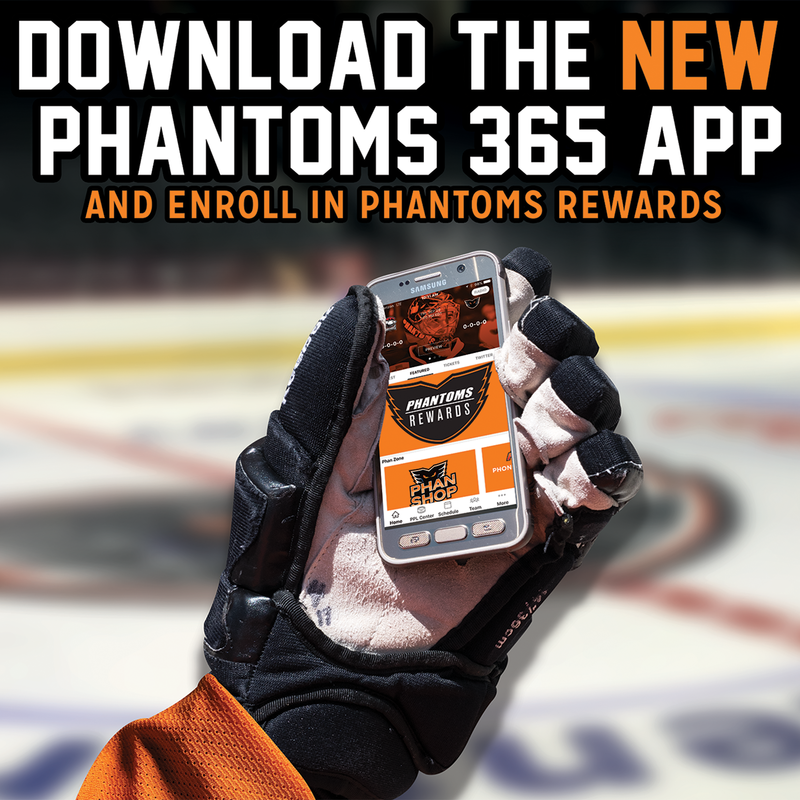 Charlotte out shot the Phantoms 36-29. 1st Period-1, Charlotte, Brown 4 (Smallman, Carrick), 13:10. 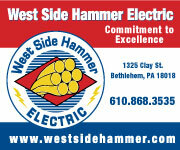 2, Lehigh Valley, Carey 8 13:31. 3, Charlotte, Saarela 2 (Gauthier, Kuokkanen), 15:15. 4, Lehigh Valley, Palmquist 1 17:34. 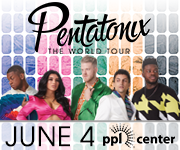 5, Lehigh Valley, Conner 6 (Kase, Brennan), 18:10 (PP). Penalties-Renouf Cha (fighting), 9:30; Goulbourne Lv (unsportsmanlike conduct – removing helmet, fighting), 9:30; Carrick Cha (cross-checking), 9:42; Bean Cha (holding), 18:05. 2nd Period-6, Charlotte, Carrick 3 (Didier, Necas), 7:25. 7, Charlotte, Schilkey 1 (Roy, Saarela), 9:15. 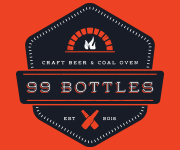 8, Charlotte, Roy 6 (Saarela, Renouf), 18:04. 9, Lehigh Valley, Kase 4 (Vecchione, Lyon), 18:37. Penalties-Gauthier Cha (tripping), 0:51; Vecchione Lv (hooking), 11:12. 3rd Period-10, Charlotte, Roy 7 (Gauthier), 1:25. 11, Charlotte, Maenalanen 4 (Poturalski, Necas), 18:37 (EN). Penalties-Willcox Lv (delay of game), 4:15; Willcox Lv (interference), 8:53; Smallman Cha (interference), 9:17; Smallman Cha (game misconduct – continuing altercation), 19:01; Goulbourne Lv (match – slew-footing, game misconduct – continuing altercation), 19:01. Shots on Goal-Charlotte 12-13-11-36. 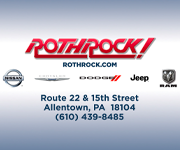 Lehigh Valley 7-11-11-29. Power Play Opportunities-Charlotte 0 / 5; Lehigh Valley 1 / 4. Goalies-Charlotte, Nedeljkovic 8-2-0 (29 shots-25 saves). 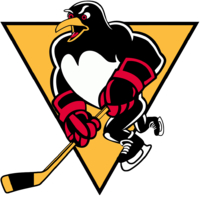 Lehigh Valley, Lyon 2-1-0 (35 shots-29 saves). Referees-Sean MacFarlane (46), Peter Tarnaris (17). Linesmen-Tyler Loftus (11), Jud Ritter (34).